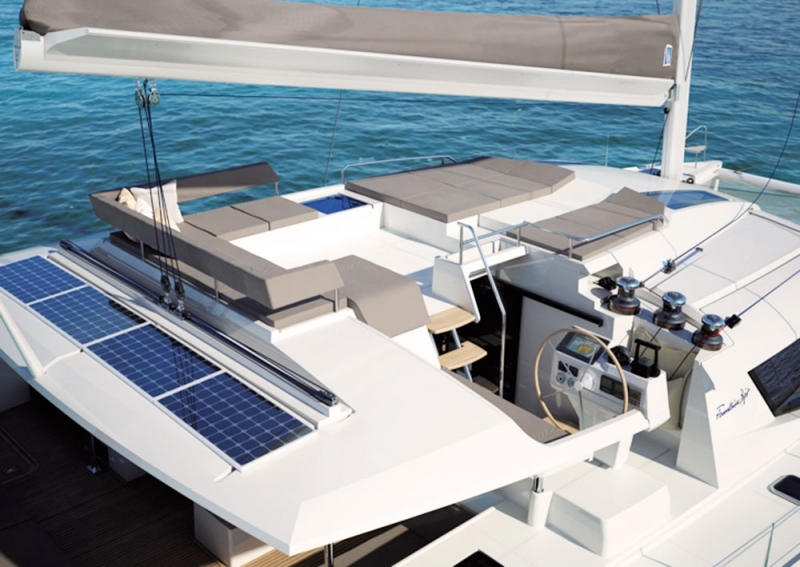 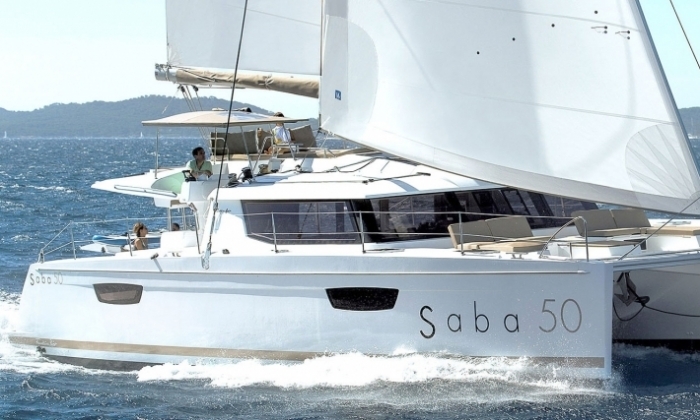 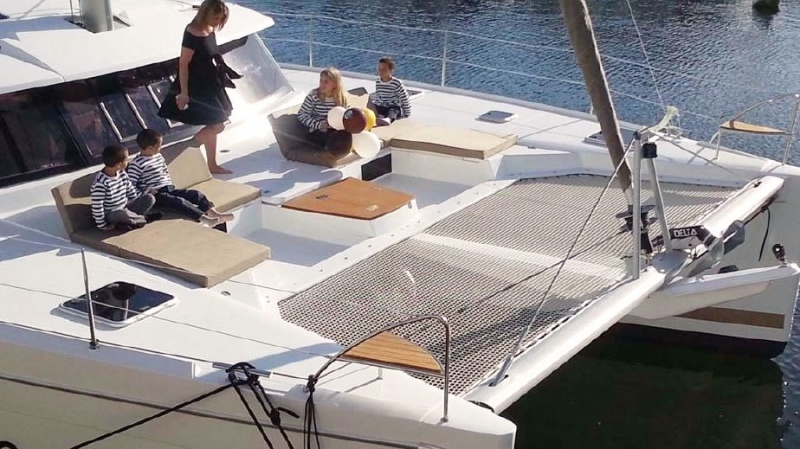 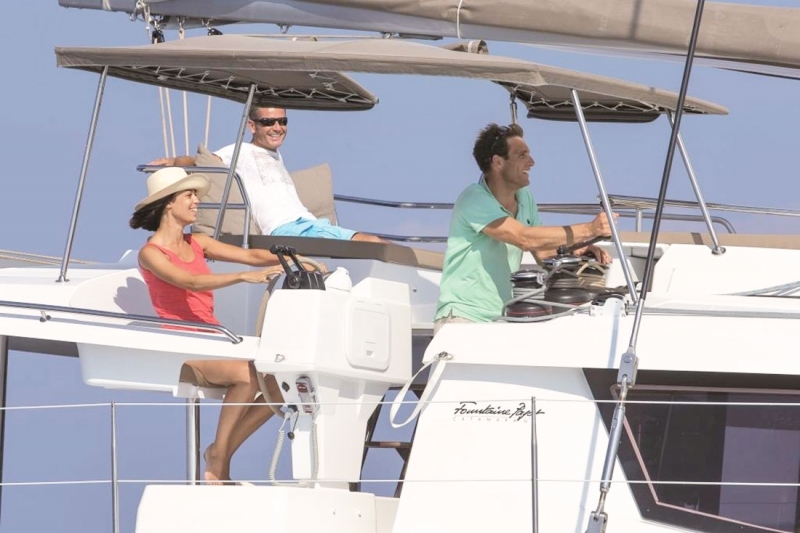 Catamaran Fountaine Pajot Saba 50 was designed and manufactured in 2016 on a special order in France. 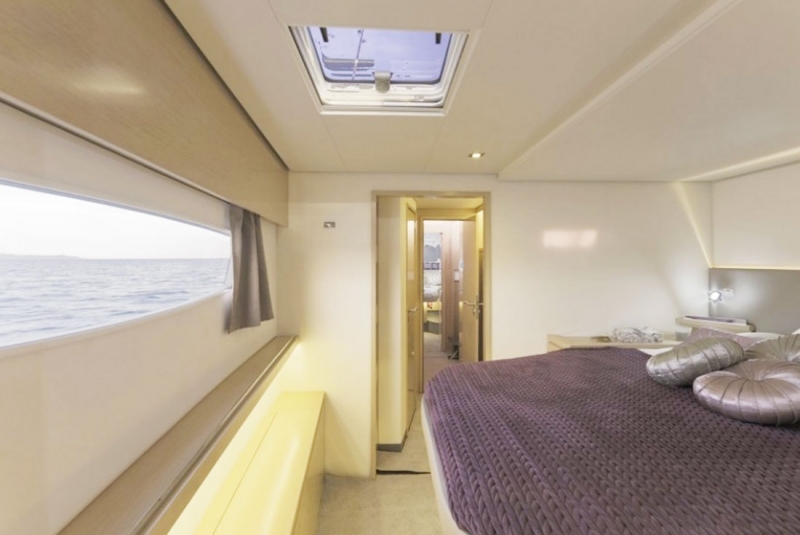 It is also specially equipped to allow all guests up to 45 people to feel comfortable and comfortable. 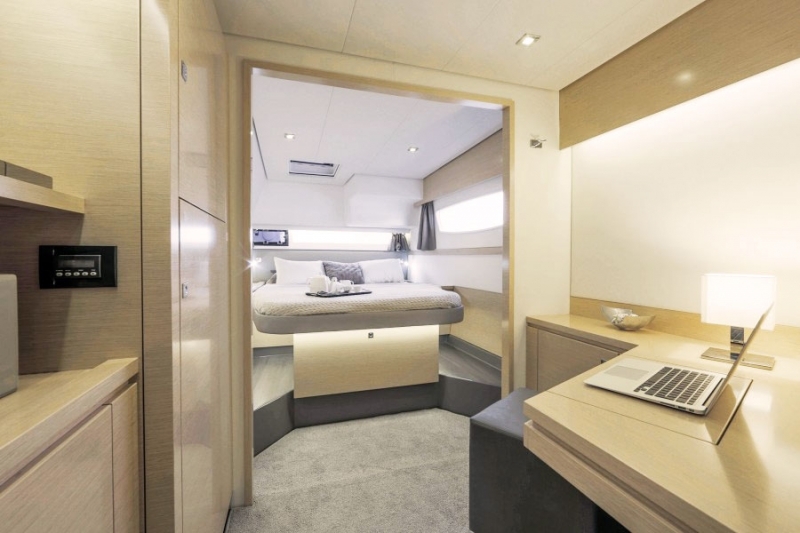 Extremely spacious and bright, with maximum free space for every passenger and at the same time provides a smooth and smooth ride even at maximum speed. 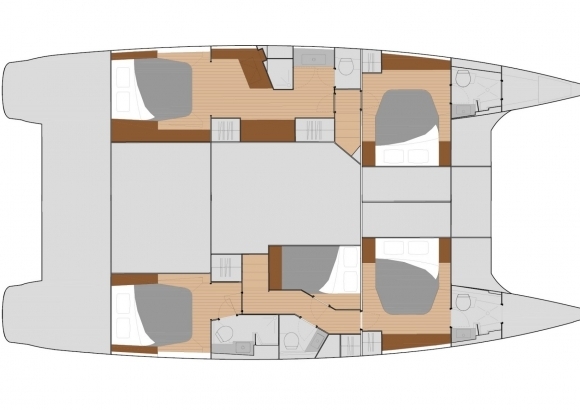 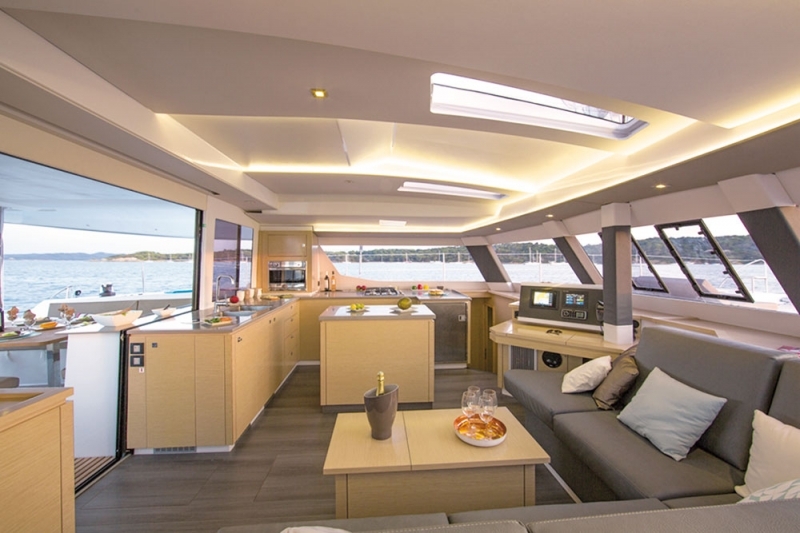 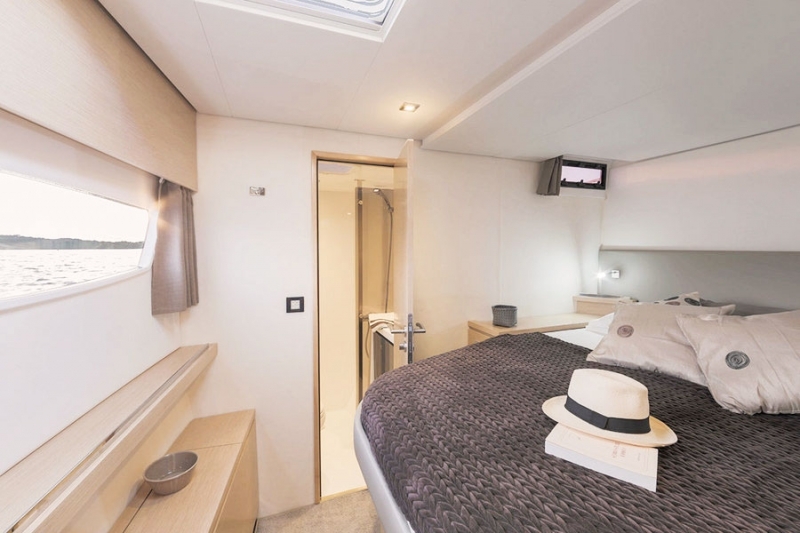 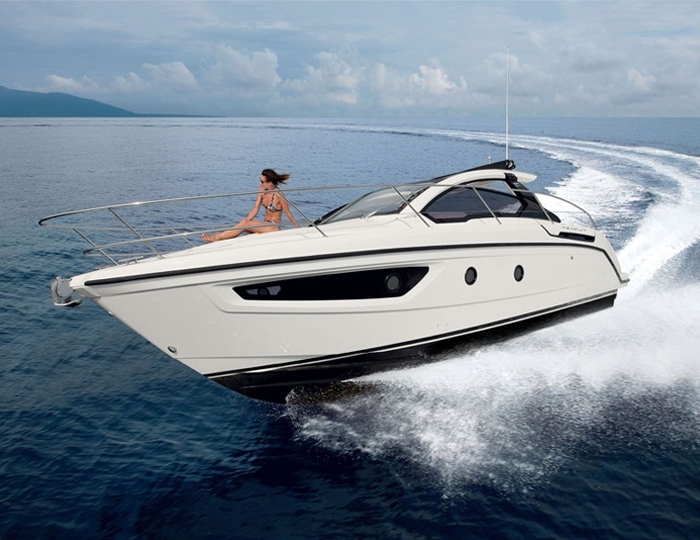 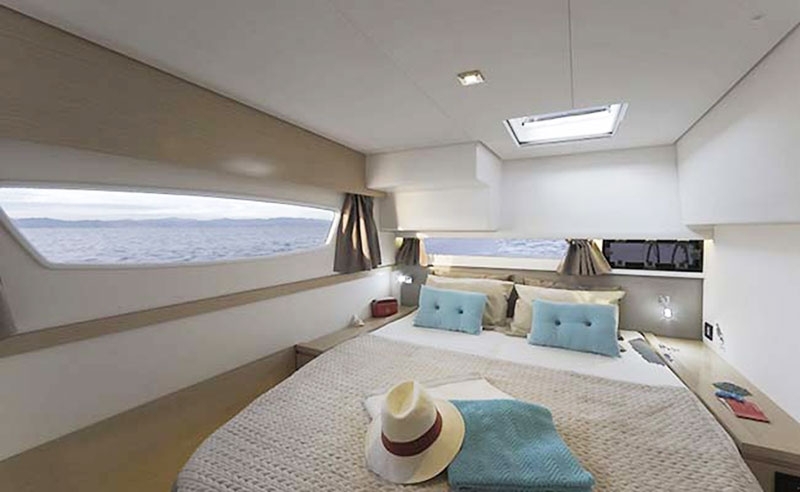 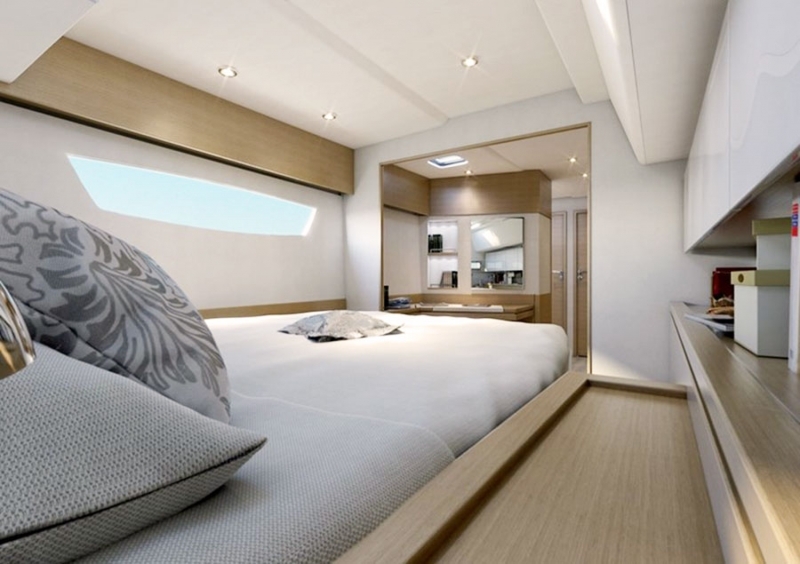 Another advantage of this great catamaran is the visibility of the saloon, which is practically 360 degrees thanks to the enlarged window windows. 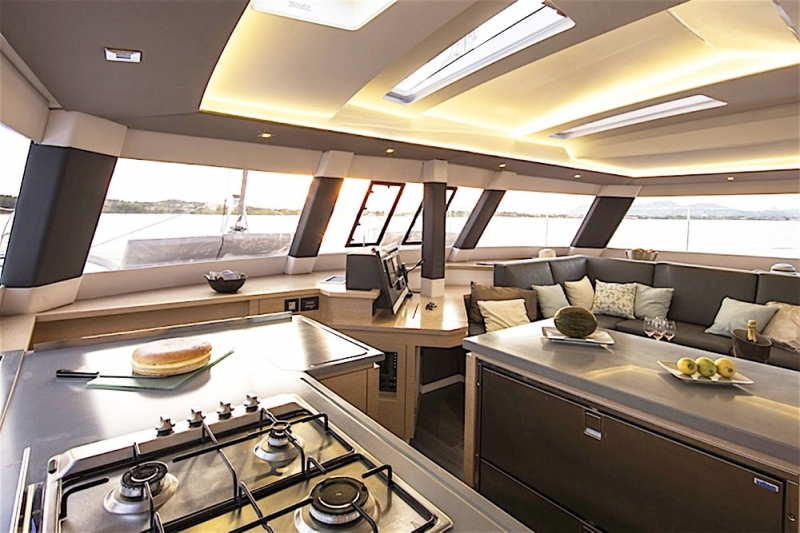 In addition, there are luxurious relaxation areas including an upper deck, two separate sundeck terraces and a large dining area open to the rear. 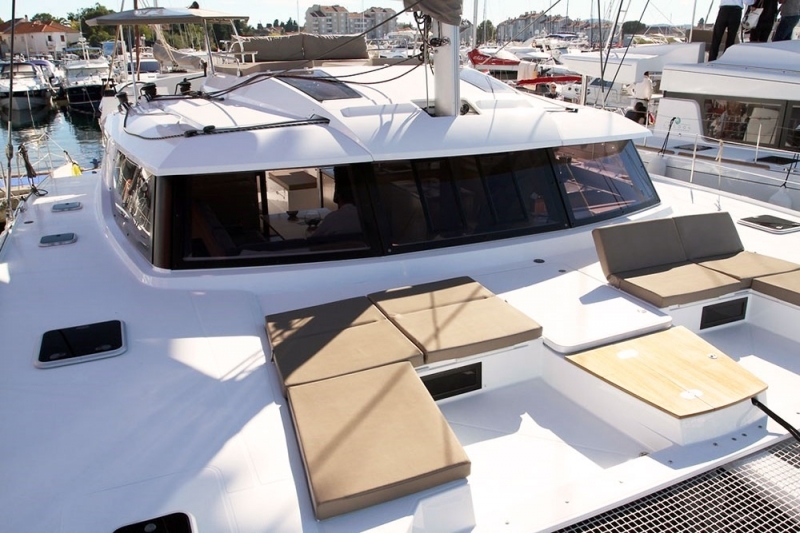 The roof structure is positioned so as to protect guests from the summer sun or sudden rain. 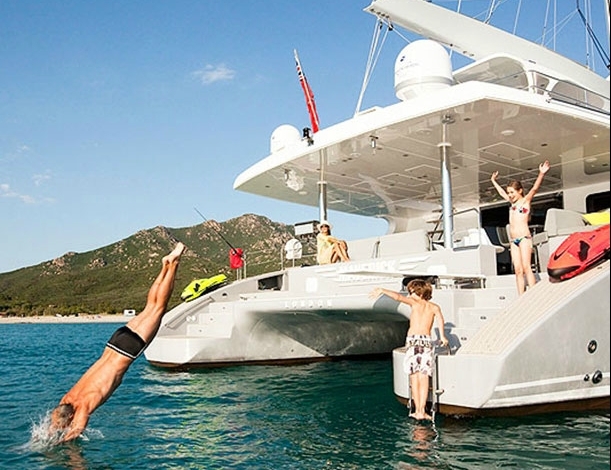 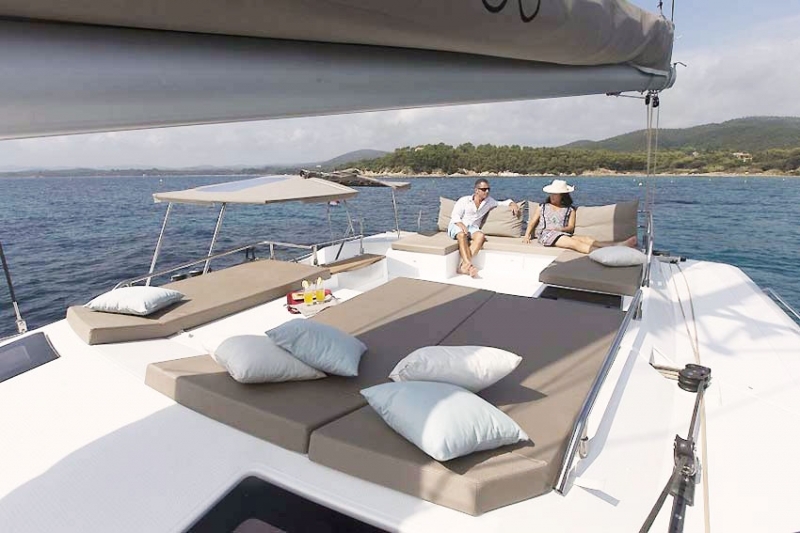 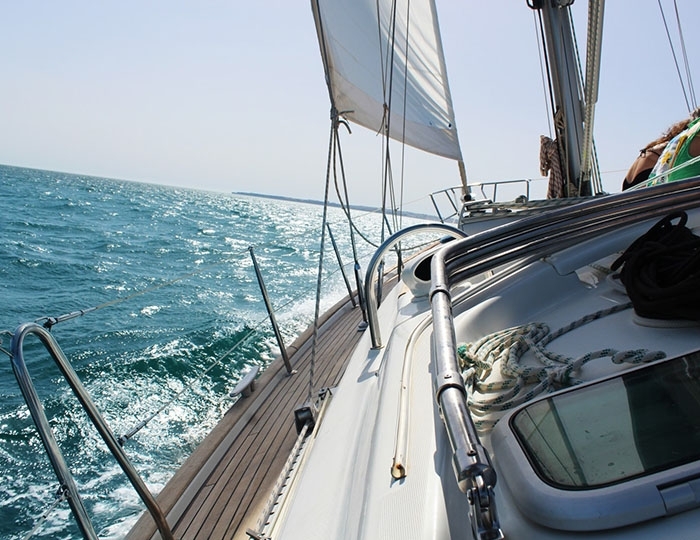 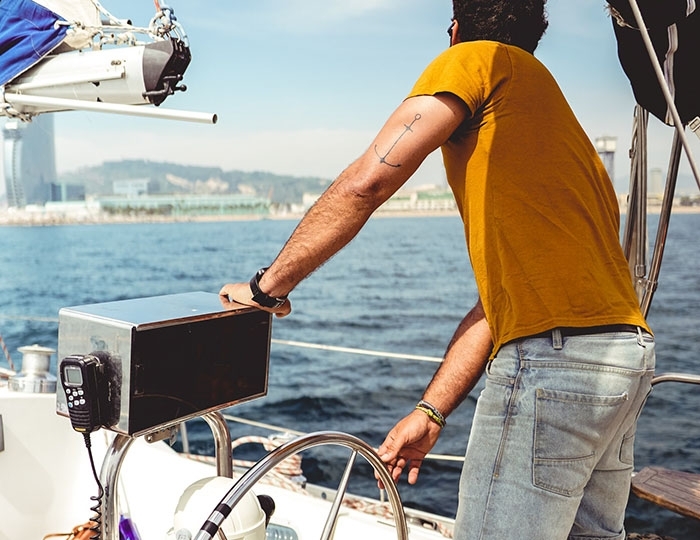 In addition to the standard daily sailings and entertainment with its 5 double cabins and 5 bathrooms, the catamaran is also suitable for hiring from friendly families or big companies for long charter flights all over the Bulgarian Black Sea coast.